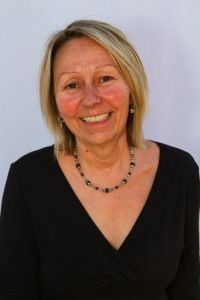 Dr. Linda Henke is the director of the Santa Fe Center for Transformational School Leadership, an organization dedicated to supporting school leaders in reinventing schooling to celebrate the best of what makes us human: our creativity, longing for connectedness, and passionate curiosity. In her work with the Center, Linda has travelled nationally and internationally coaching and consulting with school principals, superintendents and their boards. Linda retired as an award-winning superintendent of Maplewood Richmond Heights, a St. Louis inner-ring suburban district that for years had been plagued with the same problems found in many urban environments. In the twelve years Linda led the district, it moved from being labeled one of the worst schools in Missouri and on the watch list for state take-over, to one of the most dynamic and innovative districts in Missouri, recently named as number thirteen of over 450 schools in the state. Linda’s academic preparation includes a master’s degree in public relations from Iowa State University and a Ph.D in educational leadership from the University of Iowa. She studied Peter Senge’s work with systems thinking and learning organizations for over twenty years. She is a certified coach through the Center for Cognitive Coaching and a trained practitioner of transformational coaching. During her career, she was a secondary English teacher, desegregation director, curriculum coordinator, principal, director of curriculum, assistant superintendent, college professor, and superintendent. 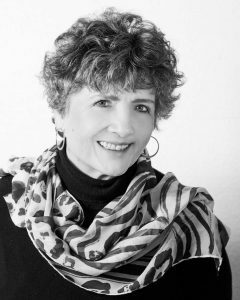 Linda is the author of numerous articles and book chapters about topics ranging from school change, literacy education, parent involvement, and school culture. She has been a frequent presenter at state and national conferences and is a sought-after mentor for new superintendents and principals. In recent years she served on over ten executive and advisory boards including e-mints National Advisory Board, Webster University’s and Maryville University’s Department of Education Advisory Boards, and the Executive Board of the Kaufman Foundation’s Superintendents’ Forum. She chaired the committee to redesign the University of Missouri at St. Louis’ Ph.D program in Educational Leadership and served on the Executive Board of HomeWorks, a not-for-profit promoting home visits by teachers and leaders. A visit to Guatemala several years ago resulted in a real passion for the country and its people. Linda developed a literacy program for children in grades one and two and each year trains teachers to implement the program. The program’s teachers currently reach nearly 1000 students a year, and the funders cannot keep up with the demand to expand. Her work in Guatemala has recently expanded as she and a group of friends are supporting a small women’s sewing collaborative in a slum outside of Guatemala. In her spare time, Linda loves learning about and collecting folk art, travelling, and engaging in exciting conversations about school change. David Bristol serves as the Center’s Assistant Director and handles its administrative functions; however, clients seeking assistance with grant writing will find him a valuable resource. He is also the primary researcher on the team and supports other team members in the preparation of workshops and with the details necessary in providing high quality service to our clients. Prior to retiring as the Director of Education at the Missouri Historical Society, David was the Director of the St. Louis Regional Professional Development Center, one of seven centers across Missouri operated by the Missouri Department of Elementary and Secondary Education. His public school experience includes serving as Superintendent of Schools in two Connecticut districts and Assistant Superintendent of Curriculum and Instruction in an 8,000-student Connecticut urban district. David has extensive grant writing experience. As director of the St. Louis Professional Development Center, he successfully obtained grant funding totaling over $2 million including a three-year $950,000 Federal Department of Education grant on teaching American history, three state grants totaling over $240,000 to fund a Performance Assessment Institute, an African American Achievement Initiative and an Urban Mentor project. At the Missouri Historical Society as the Director of Education, David brought to his department nearly $600,000 in grants including a $200,000 subcontract of a Federal Teaching American History grant and a large three-year Federal Institute for Museum and Library Services grant in collaboration with the Anti Defamation League to create a national curriculum addressing the deepening of historical understanding using material culture, reducing bias. and improving student literacy. 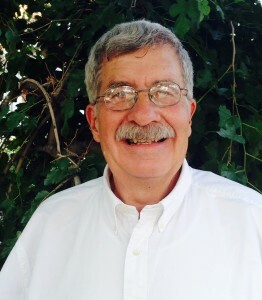 David also has experience in grant review having served for many years as a grant reviewer for the Federal Department of Education reviewing Teaching American History (TAH) and Investing in Innovation (i3). David started his teaching career as a high school history teacher in Westport, Connecticut, and taught at the college level in a school administration program. 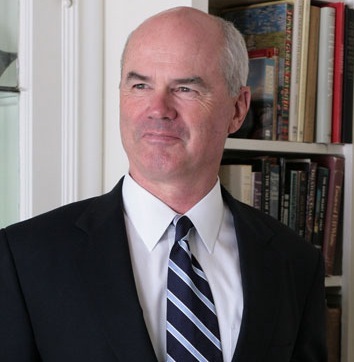 His education background includes a BA from Cornell College, a master’s from The Johns Hopkins University, and a doctorate from the University of Massachusetts- Amherst. Dr. Robert Dillon is an author, speaker, educator, and lifelong learner. His twenty plus years in education has seen him serve kids and families as a teacher, principal, technology director, and innovation leader. His primary focus is working to bring synergy to instructional design, technology infusion, and learning space design. He believes that in this synergy is the educational gold that students need to be successful citizens in a modern world. He works through an equity lens and looks to bring excellence to every classroom. For this work, he has been honored by Common Sense Media, The Center for Green Schools, the dSchool at Stanford University, the Buck Institute for Education, and Future Ready Schools. Dr. Dillon has had the opportunity to work with teachers and leaders throughout the country, and he continues to speak at local, regional, and national conferences. Dr. Dillon is the co-founder of ConnectED Learning, a Saint Louis non-profit dedicated to affordable, quality professional learning for teachers. He is the author of four books including his latest, The Space: A Guide for Educator. He is supported in his work by his wife and two amazing daughters. Dr. Dillon is currently Director of Technology and Innovation in the University City Missouri public school district. Barbara has served as a teacher, early childhood program director, elementary school principal, consultant, mentor, and author. She is the co-founder of the Clayton Family Center that offers parenting classes and other child development services for parents and children ages birth to 5 years old. As the principal of Captain Elementary School she worked with Linda Henke to transform the curriculum and build a collaborative culture in which all teachers were expected to grow and all students thrived. The application of systems thinking ideas and tools to the everyday life teachers, students, and parents was an important component of that transformation and became the basis of her writing, and consulting. As a mentor and coach she works with principals and other school leaders to avoid easy recipes and develop the deeper thinking skills that outstanding leadership requires. A principal’s job often seems so busy there is no time to think. Barbara believes the most effective leaders learn to reverse this equation. They spend as much time thinking as doing. Structured conversations with coaches and colleagues are essential components of their thinking process. Barbara enjoys hiking, biking, reading, writing, and traveling. 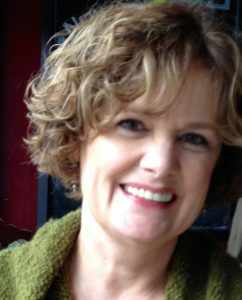 Susie has served as a school district leader in English language literacy, gifted education, and teaming. After retiring from the full-time public school classroom, she continues to teach for the University of Missouri-St. Louis, supervise student teachers for St. Louis University, and consult for school districts in need of strengthening their literacy programs. From its inception, Susie has worked with the Gateway Writing Project, a site of the National Writing Project, as the Program Director and then as a Teacher Consultant. 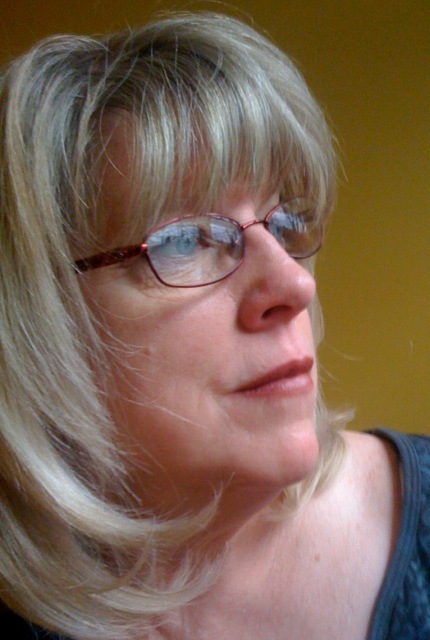 Developing educators as writers and thinkers who use writing and civil discourse to clarify their ideas, perspectives, and goals, Susie is at the heart a writer and a teacher. 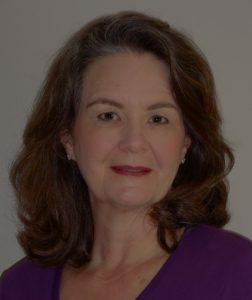 Susie earned her undergraduate and graduate degrees from the University of Missouri-St. Louis and studied gifted education at the University of Connecticut and at Maryville University. She is a frequent contributor to the professional journal, Talking Points, as a professional resource reviewer. Recently, she earned a first place for one of her poems entered in the Missouri State Poetry Society Winter Contest. Poetry is her writing passion. Yet, academic writing is always on Susie’s desk; formerly, she was Editor of the Missouri Association of Teachers of English FYI newsletter, and has written and edited articles and segments for academic publications throughout her career. She was the first-tier editor and writing coach for authors Barb Kohm and Dr. Bev Nance as they wrote Principals Who Learn: Asking the Right Questions, Seeking the Best Solutions (ASCD). When she’s not immersed in writing and teaching, Susie is on her bicycle or writing music. Or she’s around the campfire, playing guitar and singing. Catherine retired several years ago as the Assistant Superintendent of Maplewood Richmond Heights School District. She and Linda began the district’s turnaround in 2000, taking it from a struggling district about to be taken over by the state, to one that came through its state review with flying colors the year Catherine retired. The District’s professional development program was cited by the Missouri Department of Education as a model for others to emulate. Since retiring, Catherine has worked as a consultant, supporting teachers in curriculum and professional development, mentoring, and developing grants. She served as an interim Assistant Superintendent in University City School District for one year supervising the Curriculum and Instruction staff, supporting grant development, and leading a study of the gifted and talented program. Prior to her position in MRH, Catherine worked in the School District of Clayton where she was the Director of Professional Development and Planning, an elementary principal, classroom teacher, and parent educator. She was instrumental in developing a model for curriculum and professional development that focused on continuous improvement. Catherine received a master’s degree in Early Childhood Special Education from Washington University in St. Louis and a doctorate from St. Louis University in Educational Administration. Her doctoral project focused on supporting teacher leaders in learning organizations. Catherine has been a frequent speaker on leading effective groups and facilitator for district- and school-wide strategic planning sessions. She has authored and co-authored articles and book chapters and taught college-level courses. Catherine and her daughter have a small business that promotes wellness, writing a blog and newsletter to support their work. Most recently, Catherine co-leads an organization involved in supporting volunteer wildland fire fighters in the foothills of the Rocky Mountains. This organization provides education and information to the community, provisions fire fighters during incidents, and raises funds for much needed equipment. She also writes and edits a community newsletter. She is an avid watercolor painter who enjoys spending time building her skills and creativity as an artist. Dr, Angelia Moore is a passionate award-winning consultant, administrator and teacher. She has 20 years of experience in education, seventeen years in the classroom and three years as an administrator and instructional leader. For the last fifteen years she has been consulting, teaching, and developing a range of high school courses and programs to including an innovative student leadership program and curriculum. Her experience includes designing and impleming a school-as-expedition model, cognitive coaching and serving as an Understanding by Design trainer. She has taught history/soclal studies at both the middle school and high school level including 10 years teaching AP United States history. She is currently the Assistant Principal at El Camino Real Academy, a pre-K through eighth grade, Title I, dual-language public school in Santa Fe, NM with 850 students. Angelia has served as a consultant for the Gilder Lehrman Institute of American History and their Teaching American History Grant, working with school districts in Texas, Indiana, Idaho, Ohio, Florida, Massachusetts, and Pennsylvania. Additionally, Angelia serves as a GLI Seminar Coordinator in the summer and works with groups of secondary ELA and social studies teachers, librarians, K-6 teachers, as well as National Park Service staff from across the country as they spend a week studying a topic in U.S. History with historians such as Kenneth Jackson, David Blight, Joseph Ellis, and Gary Gallagher. She has consistently received the highest feedback and praise for the quality of instruction, strategies, and depth of content she has delivered. Angelia’s academic background includes master’s degrees in educational administration and history, both from the University of Missouri- St. Louis. She holds an Ed.D. in educational leadership from Maryville University and is a certified coach through the Center for Cognitive Coaching and a certified trainer in critical thinking from the Center for Critical Thinking in Boston. She has also received advanced training in Understanding by Design. Her awards include 2010 Missouri History Teacher of the Year and the 2007 U.S. Congressional James Madison Fellowship for the state of Missouri. She is currently on the Board of Directors and the Executive Board for ACLU New Mexico. Angelia’s greatest passion lies in cultivating a climate of student leadership through purposeful teaching of leadership theory and systems-thinking experiential learning. As a high school teacher, she designed, developed, and implemented an award winning student leadership program that is still in place and has been successful in developing students as school and community leaders. Dr. Katie Belisle-Iffrig is a tireless advocate for environmental literacy and sustainable practices. As the founder of Code Green Collaborative, she has worked with corporations, for-profit, and nonprofit organizations on a wide variety of sustainability, conservation science, and environmental education projects. Through her work, she has demonstrated her skill at strategic planning; co-sponsor and partner development; grant writing; project conceptualization and management; environmental interpretation; and curriculum development. Dr. Belisle-Iffrig holds a master’s degree in botany from Southern Illinois University (SIU) and a doctorate in outdoor recreation with an emphasis in environmental education from Indiana University (IU). While at IU, Katie got a taste of the educational power of youth gardening when she served as the graduate assistant to Hilltop Youth Garden and Nature Center. Smitten, she spent 14 years working at the world-famous Missouri Botanical Garden feeding her passion for educating youth and the general public about the critical role plants play in solving our most urgent health and environmental issues. As a consultant, Katie thrives on building exemplary education programs from the ground up. Throughout the years, Katie has been involved in creating outdoor learning spaces and organic youth gardening programs in a number of St. Louis-area elementary and middle schools. She and Code Green co-founder, Kerry Smith, were key players in the conceptualization and development of RiverWorks Discovery®, a youth and family river-based education program. Katie’s expertise proved invaluable in creating a sustainable business plan based on an integrated marketing/funding matrix that garnered broad-based community and stakeholder support. As a result, RiverWorks has over 80 co-sponsors in 18 states and was honored in 2012 with a White House Champion of Change Award for Innovation. In addition to outdoor learning spaces, Katie also believes that the built environment where kids learn matters. 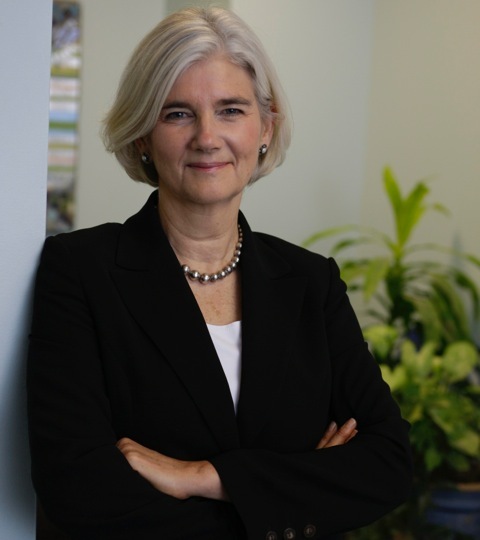 She is a LEED (Leadership in Energy and Environmental Design) Green Associate and chairs the Green Schools Committee of the United States Green Building Council (USGBC) Missouri Gateway Chapter. She is currently a Green Schools Mentor at Tillman Elementary School working collaboratively to provide teachers with the initiative and experience needed to make use of the school’s outdoor learning environments. Currently, Katie serves on the advisory board of the Missouri Environmental Education Association and The Green House Venture. The Green House Venture is in the initial funding stage for a living classroom that will serve three diverse area schools – a charter, a public magnet, and a parochial school. Katie is also a strong supporter of Makerspace at her daughter’s performing arts school. Makerspace is a STEAM initiative that uses high-tech and low-tech tools to help students develop design-thinking skills. Katie’s first book, Going Green For The GENIUS, was published in February 2015. Going Green employs an engaging conversational tone to provide a whole systems thinking approach to sustainability. The goal of the book is to help both novice and expert connect the dots between ecological principles, environmental literacy, and sustainable actions. She is also busy launching a new website aimed at children and families called Growing Green Kids: Sowing the Seeds of a Sustainable Future. Watch for it at www.growinggreenkids.org. Lee Ann serves as Senior Professional Coach for University of Missouri St. Louis, where she and her Learning Partnership Design colleagues developed CoachED, a course for practicing teachers and administrators who participate in customized coaching to advance learning through on-site collaboration as well as through videotaped sessions with ongoing feedback. 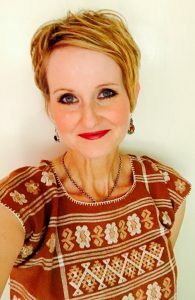 Lee Ann also works as an adjunct professor at Webster University where she teaches graduate courses in the MAT Reading Program and supervises graduate students doing their reading practicum required for reading specialist certification. At the time of Lee Ann’s retirement in 2011, she was Director of Literacy and Professional Development for the School District of Clayton, one of the highest performing districts in the state. During her tenure in this position, Lee Ann created the Lab Classroom Program, a professional development structure that opened the doors of teachers as they shared through collaborative problem solving and lesson study. As Director of Literacy, Lee Ann was responsible for the Pre K through grade 12 literacy curriculum and instruction. Through collaboration and study with a committee of teachers, Lee Ann worked to develop a new writing curriculum using Lucy Calkins Units of Study. Prior to her role at Central Office, she was a building principal, a reading specialist and an elementary teacher. Lee Ann has spent her entire career working to ensure that literacy is taught using methods and curriculum that unlocks the potential for all students. Lee Ann is co-founder of Learning Partnership Design, an educational design company based in St Louis. As a team, they work with various schools in the St Louis region with a goal of making systemic change. 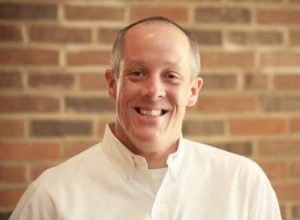 Dr. Kevin Grawer is in his eighth year as principal at Maplewood Richmond Heights High School a close-in suburb of St. Louis. Kevin has worked in eight different schools in three different nations and is a strong proponent of creating an academic culture built on positive relationships and a “work like” atmosphere. Always promoting a positive growth mindset, he says it’s important to love your students and coworkers—meaning you have a “genuine concern for their well-being and have their best interest at heart.” Kevin wholeheartedly believes that a “positive attitude influences outcomes” and that U.S. schools and educators are the best, hardest working, and most student-invested schools in the world. Kevin led MRH High School to become a 2012 National Model High School and a 2014 Met Life National Breakthrough High School via the National Association of Secondary School Principals (NASSP). In 2015, the NationalCenter for Urban School Transformation (NCUST) awarded MRH HS its top honor as a “Gold Level National Urban School of Excellence” and the 2017 Missouri ACT exemplar high school. A school once about to be taken over by Missouri’s Department of Elementary and Secondary Education has now experienced a renaissance of growth measured by eight years of continuous improvement as reflected in state test scores , ACT scores, major drops in student discipline, and increased community involvement. Dr. Grawer addressed a United States Senate briefing on “Personalized Service in Education–Leading Urban Schools to Greatness” in 2014 and was a member of the “Great Leaders Summit” of educational leaders from the United States and China in July of 2014 in Washington, DC. He appeared on NPR’s “Morning Edition” in 2014 to discuss the Ferguson riots and their impact on St. Louis schools as well as “All Things Considered” in August of 2017 while discussing the public school’s response to Charlottesville protests. Kevin is a former AP Spanish teacher and varsity basketball coach with 22 years experience as an educator. He was a Fulbright grantee in 2000-2001 in Madrid, Spain. 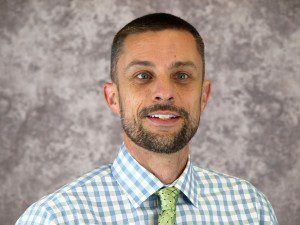 He has a Bachelor’s in Spanish/Latin American History and Education from the University of Tulsa, a Master’s in Teaching from Webster University, A Master’s in Educational Leadership from The University of Missouri-St. Louis, and a Doctorate in Education from Maryville University in St. Louis. 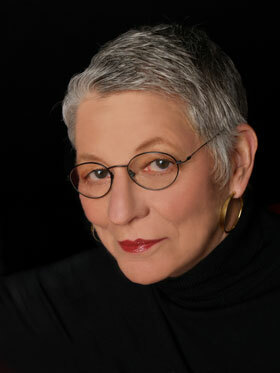 Linda Lambert, Ed. D. is professor emeritus at California State University, East Bay, an author and consultant. Her pioneering work in leadership led to invitations from the U.S. State Department and foreign ministries to consult in Thailand, Australia, Malaysia, Singapore, Canada, Great Britain, Mexico, Lebanon, and, most extensively, Egypt. Linda is the lead author of The Constructivist Leader (1995, 2002), Who Will Save Our Schools? (1997), Women’s Ways of Leading (2009) and Liberating Leadership Capacity: Pathways to Educational Wisdom (2016). She is the author of Building Leadership Capacity in Schools (1998), Leadership Capacity for Lasting School Improvement (2003), and three historical novels known as The Justine Trilogy. She can be reached at linlambert@mcn.org or www.lindalambert.com. Zach is currently an Adjunct Professor at the Santa Fe Community College and the Program Director for The MASTERS Program High School. He has been working in education for 13 years as a teacher, program director, coach and presenter. 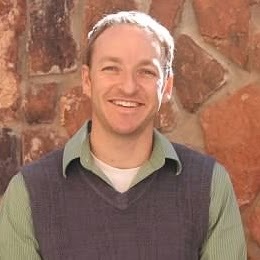 Zach has worked with students of all ages and began his career as a middle school remedial literacy teacher in Santa Fe. He then moved on to high school where he created a global issues “peace studies” curriculum as well as a diverse array of independent project-based learning initiatives for students. After a short jaunt in Detroit Michigan working with inner-city youth around leadership and service learning, Zach returned to Santa Fe in 2010 to help start a school as the program director and “organizational development guy.” For the past 8 years, he has helped to create and run an innovative school-wide project-based service learning program, a mentorship program, a restorative justice program and a school-wide social emotional learning curriculum. For 7 years Zach has also taught Leadership and Community Development classes at the college level. Zach’s research, work, and presentations incorporate his deep interests in leadership training, transformative education, restorative practices, emotional intelligence, cooperative communication and the conscious creation of community. Zach is a certified emotional intelligence leadership coach/consultant and has traveled locally as well as internationally to help school leaders and teachers understand how to integrate these concepts in order to consciously create positive, connected school communities. Zach was invited to be a presenter at the Tri-Association of American Schools Annual International Conference in Guadalajara, Mexico and he has been a TEDx speaker. He is the co-founder and lead consultant for Re:Humanizing Education consultant group and the founder of Zach Taylor Consulting. Zach’s philosophy of student learning is consistently evolving as society changes and as research reveals more about how humans learn, but fundamentally he believes that “students find deep learning through relevant discovery and exploration when they feel safe and emotionally regulated.” As a consultant in education, he wants to work to cultivate widespread, undiscerning, transformative and deep learning for students of all backgrounds. Zach holds a Master’s degree in Social Justice from Marygrove College in Detroit, Michigan, an Emotional Intelligence coaching certification from Six Seconds and has been trained in Mindfulness Education with Mindful Schools.